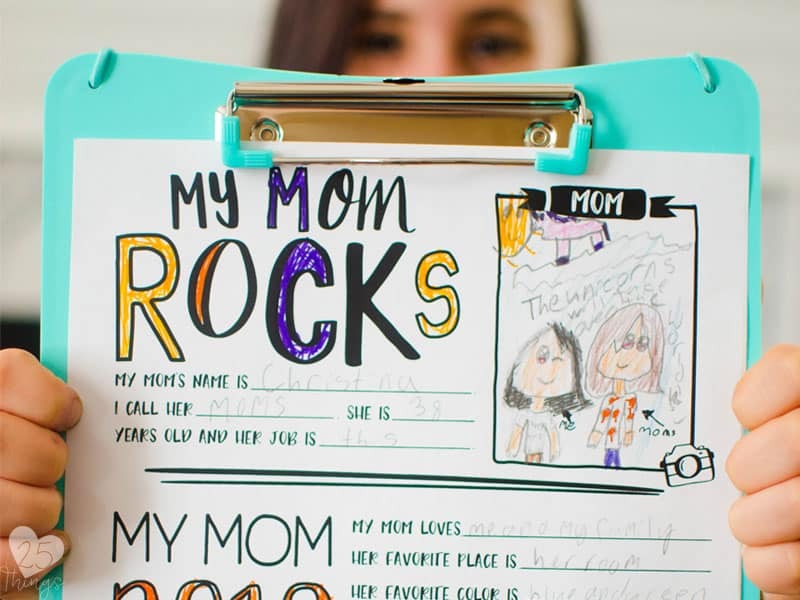 Mom will love reading the answers to our Mother’s Day Questionnaire printable. Smaller kids may need some help writing down responses to the questions. 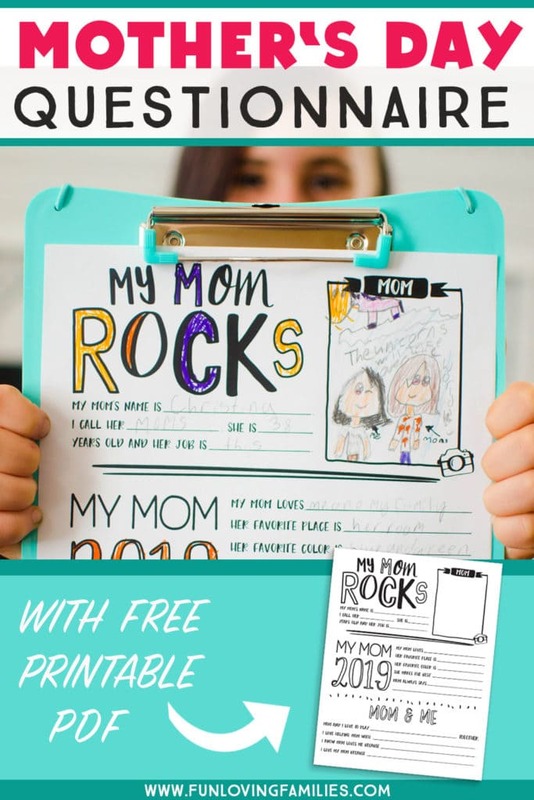 But all kids will love coloring it in and using their own words to answer questions on this all about Mom printable. I have always loved getting All About Mom questionnaires like this from my kids. Honestly, they were pretty hilarious when they were little. One year, one kid had me at 40 years old, while the other thought I was 20. I think I was closer to 30 at the time, so they averaged out pretty well. Another year, I swear every answer had to do with candy. As in, “I know my mom loves me because she gives me candy.” And, “I love my mom because she takes me to Grandma’s house where I can eat candy.” You get the idea, lol. Save these someplace safe and look over them with your kids when they’re older. They make fantastic keepsakes. 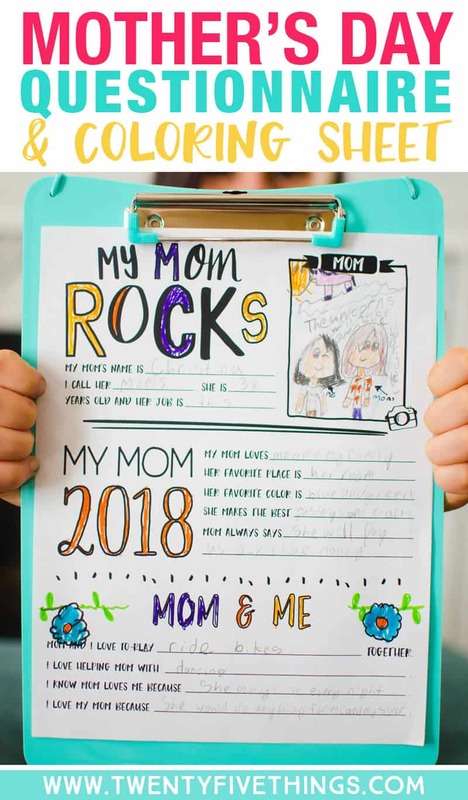 One way to keep tabs on them is to take a photo of your child holding the completed questionnaire up, and include that photo in your family’s photo album. 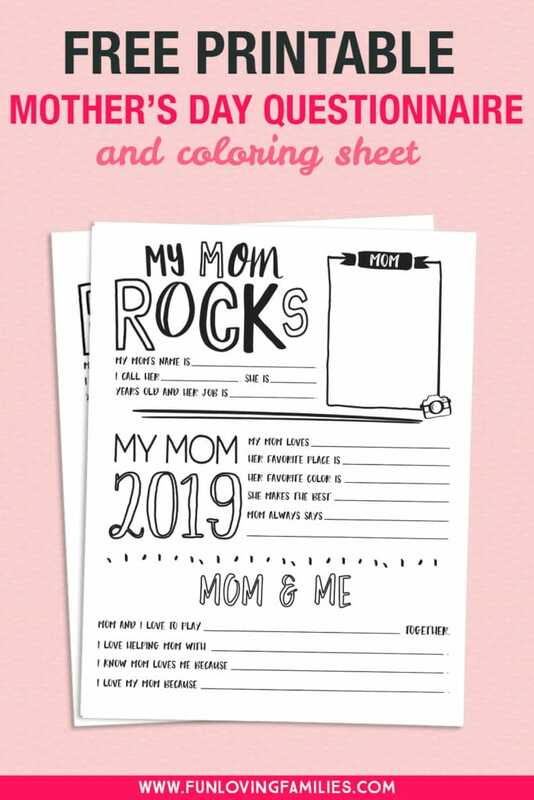 If you’re a mom reading this and you want your kids to fill out one of these for Mother’s Day this year, be sure to email this post to someone who spends time with your kids. Another parent, a grandparent, a good friend. Someone you can trust to make sure it gets done! Click the button below to download your PDF. Need to save this for later? Pin the image below so you can find it again when you need it!